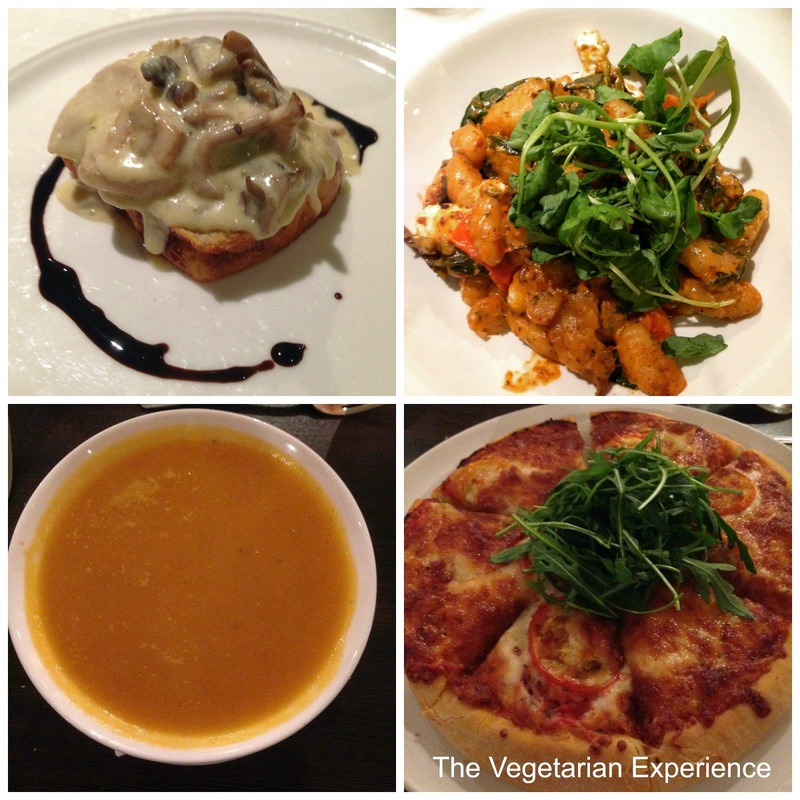 This weekend I experienced the Vegetarian menu at Q Hotels when we went to stay at one of their hotels in Chatham, Kent for a family celebration. As we were on a deal which included meals, I knew that we would be eating at the hotel restaurant. Upon perusing the menu, the starter options looked pretty good - a Vegetarian soup of the day, Goats Cheese, and Mushrooms in a Stilton Sauce - not bad. However, when it came to the main courses, there were only pretty much three to choose from, which wasn't a great choice. The choices were Gnocchi (which I always find to be hit and miss), Moroccan Cous Cous (not my thing at all) or a Salad. It was freezing cold outside so I immediately discarded the salad. The first evening I opted for Mushrooms in a Stilton Sauce to start, which tasted quite nice but could have done with being warmer. This was followed by the Gnocchi, which I was right, was very stodgy and quite tasteless. I think I managed half of it and didn't enjoy it. On the second evening I decided to peruse the bar menu to see if anything else was available. I found that they served freshly made Pizza, and also a Goan Vegetarian Curry. Knowing that as there was nothing else "Indian" on the menu, the Curry would be coming straight from the freezer, I decided to opt for the Pizza. The pizza came out a little well done around the edges, although it was a nice Pizza and freshly cooked. I only managed half of it as I just found the bread so filling. Also before hand I had been served a rather lovely Butternut Squash Soup as a starter, which I really enjoyed. Although I enjoyed what I ate, apart from the Gnocchi, I don't know what it is about Hotels, but they just don't seem to get the Vegetarian menu quite right. I would love to go somewhere and have similar offerings to everyone else - something served with potatoes and green beans perhaps, or a Vegetarian Sausage and Mash or Similar. It seems that often, Pasta and Rice are the only offerings, along with salad. All of the menus are very similar in the QHotels I have visited. I would say it's ok for one night, but I think Vegetarians struggle if they are eating in the restaurant for more than one evening. How do you find the Vegetarian meals in Hotels?